This war put an end to an age which was, despite its contradictions, full of serenity and optimism. The French weren’t mistaken in later calling it the Belle Epoque (“Beautiful Age”); a name that evokes turn-of-the-century Paris with its new boulevards and quaint cafés or Prague and Riga with their beautifully-adorned Art Nouveau architecture. However, this attitude doesn’t just reflect a sense of nostalgia for elegant carriages and clothes, for theaters and for the waltz that makes us mourn the loss of the “status quo ante” 1914. Pope Benedict XV called the war a “useless slaughter” in a document dated August 1, 1917, where he demanded a cessation of hostilities. To realize the extent of this slaughter, we have but to consider the death toll on both sides: nearly ten million soldiers died, eight million soldiers went missing and nearly seven million civilians were killed. This leaves us with a grimly impressive (and unprecedented) total of twenty-five million deaths, to which we must add the twenty million who were crippled in battle. From an ideological point of view, the First World War has its roots in the French Revolution: its aims were the same as those of the war that was fought in 1792, one that was instigated by sabre-rattling ideologues in the National Assembly that declared “the Fatherland is in danger!” and domestically instigated the reign of terror. They intended not only to defeat, but to destroy the enemy (externally and internally, as in the case of the Vendée). This contrasted markedly with the concept of “just war”, one that holds that war should be primarily defensive in nature. Moreover, in 1914 the French interventionists themselves presented the conflict as a sort of revolution aimed at establishing a “universal democracy” in Europe. A great historian, the French Hungarian-born François (Ferenc) Fejtö (1909-2008), author of a critical essay on the First World War (Requiem for a defunct Empire, 1988), described the conflict as a successful attempt to “republicanize and de-Catholicize Europe”. In 1914, in fact, in the Europe of the five Empires (the four already mentioned plus the British one), only three countries, Switzerland, France and Portugal, were republics. After the war, four empires disappeared: only the British Empire survived, although there were a handful of kingdoms such as Italy and the Netherlands and minor principalities such as Luxembourg and Andorra. With the exception of a handful of regions which were absorbed into the newly-formed Kingdom of Yugoslavia and the Kingdom of Romania, all of the territory of the former empires belonged to newly-established republics (some of which were constituent members of the Soviet Union). These included Germany, Turkey, Austria, Hungary, Czechoslovakia, Poland, Finland, Lithuania, Latvia, Estonia, several short-lived republics in Ukraine (which would later be split between the USSR, Poland, Romania and Czechoslovakia), as well as Russia, Belarus, Moldova, Georgia, Armenia and Azerbaijan (which were all subsequently absorbed into the USSR). The pernicious nature of the political restructuring of Europe that occurred in the wake of the Great War was not confined to the abolition of these monarchies and communism’s victory in the East. Another French historian, Francois Furet (1927-1997), argued that the Treaty of Versailles and other associated post-war treaties that were signed in 1919-1920 constituted “more than the peace of Europe, a European revolution”, because they upset the balance on which Europe had rested since the Congress of Vienna. This was mainly due to the influence of American President Woodrow Wilson (1856-1924), who presented himself as the prophet of a new era, one that reflected the “self-determination of peoples”. This principle also had its antecedents in the French Revolution: the absolute right of nationalities to constitute themselves as independent states, which was elevated to become a legal principle and emerged as the supreme rule of international politics. This resulted in the fragmentation of the once-great Austrian Empire, which was replaced by an impoverished mosaic of smaller states, several of which lacked the ethnic uniqueness that could have justified their birth. Czechoslovakia and Yugoslavia were entirely artificial manifestations of the deal-making that had taken place among the major allied victors. Czechoslovakia consisted of two major ethnic groups (the Czechs and the Slovaks), but also many Hungarians, Carpatho-Rusyns, German-speaking Jews, Roma, and most importantly, millions of Sudeten Germans, whose claims were later used by Hitler to occupy their territory. Yugoslavia was the result of the mating of Serbia with Bosnia, Herzegovina, Montenegro, and most of Slovenia and Croatia; it gave the dominant Serbs access to the resources of integral parts of the former Austro-Hungarian Empire as well as to the Adriatic Sea, which they had previously lacked. This effectively resulted in the doubling of Serbia’s territory, rather than the establishment of a balanced, representative state in that area (the problems caused by this mismatch finally manifested in the turmoil and tragedy of the 1990’s). It also led to friction with Italy, its new neighbor. Italian-speakers in Fiume and along the Dalmatian coast were culturally marginalized in the new Slavic-oriented state. Although they had been on the winning side, the Italians considered 1918 to have resulted in a “mutilated victory” and regretted having taken part in an affair that had resulted in so many deaths and so much pain; one in which their interests had been betrayed in Yugoslavia. It was believed that they could have achieved the same result through diplomatic channels, rather than by betraying the Triple Alliance (Italy had been allied with Austria and Germany until 1914). Two other more serious errors were made ​​in the division of central and northern Europe: specifically, with respect to Poland and Germany. Poland, which since the 12th century had played a leading role in Christianity, could have become a bastion of European values against the Bolsheviks to the east while containing the forces of Germany. However, the peace conference weakened Poland to the east, separating it from Lithuania, with which it had been united in a commonwealth for about five centuries. It also recognized the independence of Ukraine and Latvia from Russia, which led to intense fighting in the former and poverty in the latter. By giving the Poles Prussian lands such as the Danzig Corridor and territory which had been Germanized during the 18th century partitions of Poland, the treaty ensured that the re-establishment of Poland would inevitably constitute a casus belli for the Germans and lead to the Second World War. For its part, Germany, despite being deprived of certain territories (the Danzig Corridor and part of Prussia to the east and Alsace-Lorraine and the Sudetenland to the west), being made to pay war reparations and being transformed into a republic, remained united. Indeed, paradoxically, the Paris Peace Conference did Pan-Germanism a greater service than Bismarck himself had by eliminating the country’s small sovereign states (including four kingdoms – Bavaria, Prussia, Saxony and Württemberg, six Grand Duchies, several duchies, seven principalities, three Free Hanseatic cities, in addition to the Alsace-Lorraine Imperial Territory), which could have represented a valid element of resistance to totalitarianism. Following the end of the conflict, having lost one-seventh of its territory (plus its colonies in Africa, Asia and Polynesia) and a tenth of its population, the new German Republic presented itself as a highly centralized state, with a population of sixty million individuals who had been humiliated by the allied victors via a series of so-called “insulting paragraphs” of the treaty of Versailles. These placed the responsibility for the conflict entirely on the Germans and created the pretext for the establishment of a “anti-Versailles front” which united liberals and conservatives, pushing the entire nation towards rearmament and revanchism. 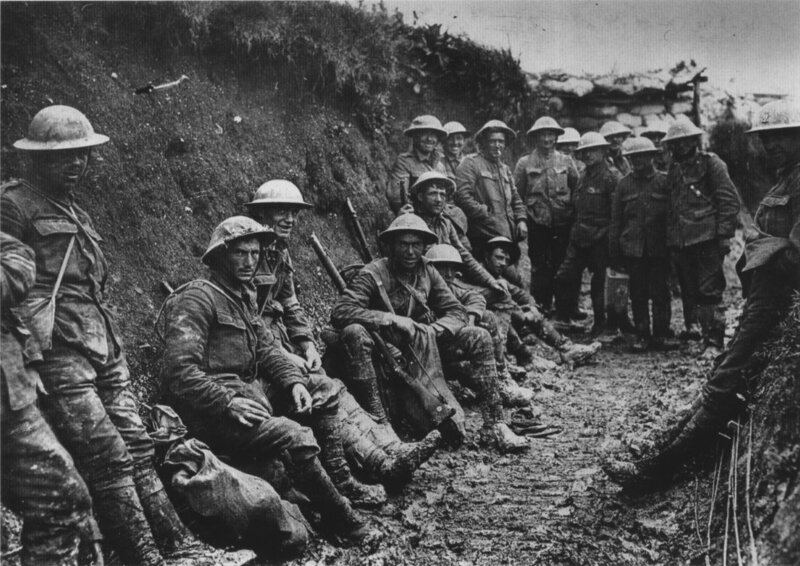 The peace that followed the Great War merely set the stage for the next world war. The imbalance created by the Peace of Versailles resulted in the ascent of two “enemy brothers”, Bolshevism and National Socialism. These ideologies were ostensibly “enemies” because they were opposed to one another, but were at the same time “brothers” because of their similar ideological base and propensity for fostering genocide. Only by mistakenly advocating communism, which was at one point considered a bulwark against fascism and the darling of the “avant-garde” for its sham plebiscites and presumed role in bringing about social equality, can one miss the intrinsically identical features of these ideologies, both of which saw their proverbial birth pangs in the French Revolution. In light of their historical consequences, it can be affirmed that the end of the four Empires, the fall of the monarchies and the weakening of Catholic Austria brought only weakness to the European continent: the “peace” saw the success of the Bolshevik revolution in Russia (which had been shortsightedly fostered and even bankrolled by the Kaiser, who in 1917 had facilitated Lenin’s return to Petrograd), and chaos in Italy and Germany, with the rise of the corrupt (financially and morally) Weimar Republic, and the outbreak of aspirations of revenge in half the continent. Furthermore, the democracies of the fledgling republics were often short-lived: Poland’s democracy, modeled on France’s Third Republic, died in a 1926 coup, as did Lithuania’s democracy. Democracy was overthrown in both Latvia and Estonia in 1934. Democracy witnessed one of its most immediate failures in Hungary. The Hungarian Democratic Republic lasted a single year before being overthrown by communists, who declared a dictatorship of the proletariat and executed almost 600 people. They later made the mistake of attempting to invade royalist Romania, which prompted the Romanians to invade Budapest. A military government followed which executed approximately 5,000, jailed 75,000 and forced another 100,000 to flee; a monarchy was re-established in 1920. By 1938, Finland and Czechoslovakia were the last remaining states in central Europe not to have retained a monarchy or succumbed to authoritarian rule. They were invaded by the Soviet Union and Nazi Germany, respectively. The consequences of this situation were inevitable: Europe would fight a Second World War, an even deadlier conflict in which 62 million lost their lives, including 25 million soldiers and as many as 37 million civilians (the disproportionately high number of civilian casualties was historically unprecedented, and Europe suffered the most).